Two subsidiaries of Malaysian casino and hospitality giant Genting Bhd priced on Tuesday $1 billion senior notes to fund the construction of Resorts World Las Vegas, a $4-plus-billion integrated resort currently under development on the Las Vegas Strip and slated to open doors in late 2020. Genting told Bursa Malaysia that its wholly-owned subsidiaries Resorts World Las Vegas LLC and RWLV Capital Inc sold a $1 billion bond with a coupon of 4.625%. The notes are due in 2029. One of the bankers on the bond deals has revealed that orders from investors have reached $3.8 billion. This indicates a strong demand from different investors, including ones from the United States. The deal received a BBB+ rating by S&P. According to bankers, it is on a rare occasion that a project still under development with no cash flow and with construction risk is given such a rare investment-grade rating. The funds will also be used to pay transaction fees and expenses in relation to the offering and the senior secured credit facilities as well as for working capital and other corporate expenses. 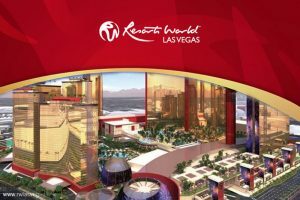 Resorts World Las Vegas will be the first integrated resort to open doors on the Strip in more than a decade. The property will feature a casino, 3,400 hotel rooms, a number of food and beverage outlets, retail space, spa and wellness facilities, and meeting and convention space. Genting has recently cleared a major legal hurdle that could have hampered the planned 2020 opening of the luxury resort. Last year, rival gambling operator Wynn Resorts sued Genting over the design of Resorts World Las Vegas. Wynn Resorts claimed that Genting’s unfinished resort looked strikingly similar to its Wynn Las Vegas and Encore properties. Wynn Resorts’ flagship hotel and casino resorts are located right across the street from where Resorts World Las Vegas is currently being developed. Wynn Resorts sued its rival gaming and hospitality powerhouse on five counts of trademark infringement, arguing that Genting had ripped off the signature concave facade of its own properties to used for its own resort. The owner of Resorts World Las Vegas dismissed those claims, saying that the property would look “dramatically different” once finished. The two companies eventually settled their dispute off the court floor. Genting agreed to change the design of its luxury complex. The changes are not likely to delay the targeted 2020 opening of the property. The post Genting Subsidiaries Sell $1 Billion Bond to Finance Vegas Casino Construction appeared first on Casino News Daily.